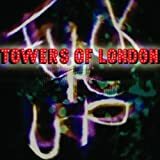 Towers of London are a punk rock band from London, England, who formed in 2004. 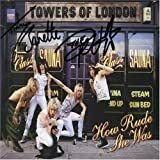 Their music mixes elements of rock and glam metal music with 1977 style British punk. The band have divided the opinions of the British music press since their emergence in early 2004, gaining positive reviews from some music news media and extremely negative from others.